Our comparisons help you find the best website builder. templates, or find a pro to do it for you. It’s easy! Launching a new website is now easier than ever thanks to do-it-yourself website builders, such as Wix and Sitebuilder. Each of these builders allows its users to build professional and effective websites with minimal time or skill required. There are a lot of great website builders to compare & choose from, but your best option will depend on the features that matter most to you. For instance, Wix and Squarespace are excellent options for users who desire absolute simplicity. Web.com and GoDaddy both offer excellent stock images and photo editing tools. Squarespace and Shopify are equipped with world-class shopping cart solutions. If you’re just looking for a quality hosting platform that works with WordPress or another preferred CMS, you might favor iPage or FatCow. 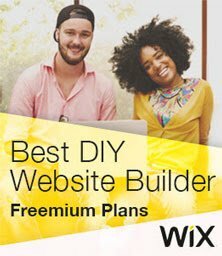 Free website builders are excellent on a budget, but they typically don’t allow you to connect your own domain. Also, you’ll have to keep the company’s ads on each webpage. Paid builders are definitely an investment, but you get more storage, bandwidth, and tools. Also, you can use your own domain and get rid of those pesky ads. Here are some additional factors to consider when deciding between free and paid website builders. We know that trust is important when you’re choosing a website builder. All of the website builders featured & compared on this page are industry leaders, and some of them have been in business for over two decades. Register.com has been around since 1994, Web.com since 1995, and GoDaddy since 1997. Network Solutions has actually been in operation since 1979!